Love the site. I was a Boomer at Dow AFB 60 to 64. Just found it and I will be back. Thanks much. A question for the KC-97 folks? Was it normal to feather a engine during the AR? I know the A-10’s were slow…..In the picture, it shows the #3 prop feathered…I think….. I was stationed in Iceland from Feb 77 to March 78. We sat Air Defense alert there in the mighty F-4C. 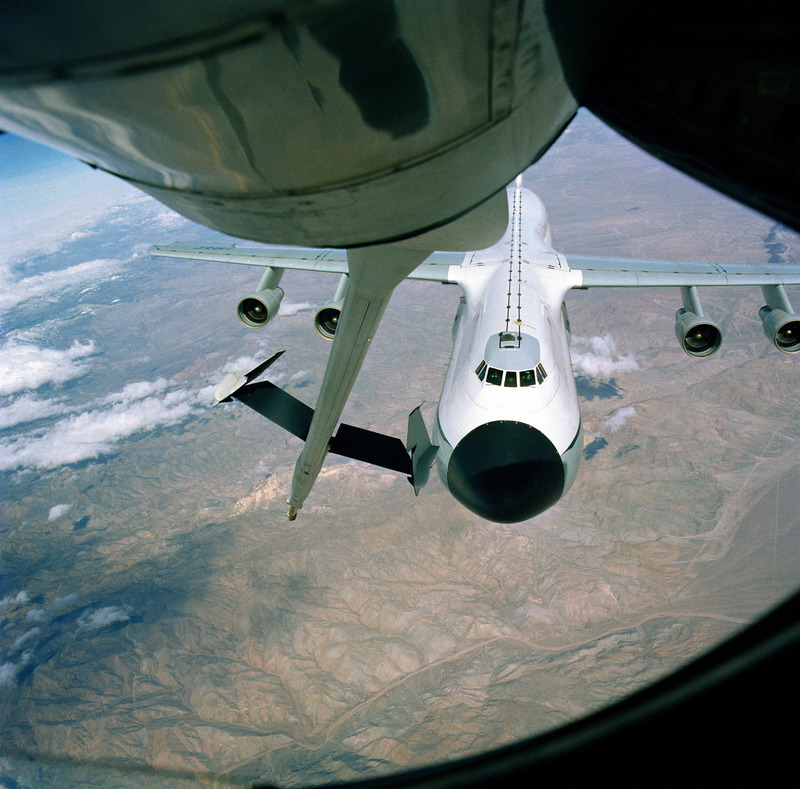 We launched from alert one day in fall 77 with directions to look for a KC-97 that was tanking for a four ship of A-10 from Davis-Monthan AFB, AZ, to “Europe”, (yes, the boneyard). The A-10s were not yet based at Bentwaters. This was to be their first deployment to evaluate the A-10 in the European environment. One of the A-10s was single engine due to a malfunction in one of the engine modules for the TF-34 engine, as we learned later. They (KC-97 and A-10) were at about 10,000 feet and had no idea of exactly where they were because the had no TACAN lockon and were not visible on ground (GCI) radar. The ground radar and the TACAN were not that far apart so it was simply a line of sight issue. We found them – did I mention that it was a murky day – and were closing. I commented to my AC that we still had 150 knots of overtake at a mile and a half so out came the speed brakes and then the flaps. Mr. Haberichter’s comment above was completely correct – those two aircraft were meant for each other. 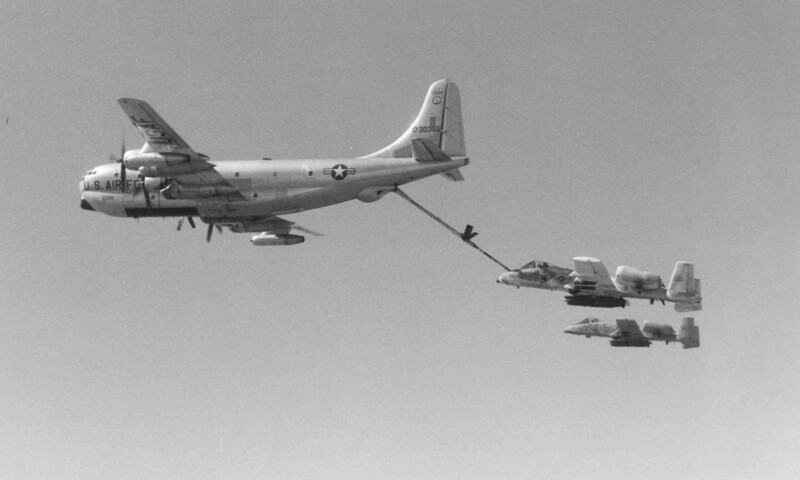 Unfortunately the KC-97 was retired in 1978 while the A-10 is still a going concern. No photos from that launch, unfortunately, although I do have an excellent shot of an F-4C formatting with a Bear D at sunset. My dad was a KC 97 crewchief in the 60’s and it was his baby. I remember him telling stories about going to Africa (Morroco) and coming back and stopping in the Azores (where he picked up a dog named blackie) and going to Tuele Greenland. He was staioned at Hensley Field in Grand Prairie, Texas at Texas Air National Guard. I also remember going to work with him a couple of times. I know he looked for years to find a model of the ’97 and never found one until I found a model of the Boeing 377 and sent it to him. He made a ’97 out of it and kept it until he died. He had a picture of a ’97 refueling an F-111. The last one I ever saw was in 1978 at McChord AFB, Wa when I was in the Air Force.